The Air Force's unmanned aircraft, X-37B, landed successfully Sunday morning at NASA's Kennedy Space Center -- but it didn't come down quietly. The space plane sent a sonic boom that rattled east-central Florida before 8 a.m., waking residents from their weekend slumber. "Thought somebody crashed into my garage ... It was just a sonic boom ... Thanks @NASA for the scare!" said one woman on Twitter. 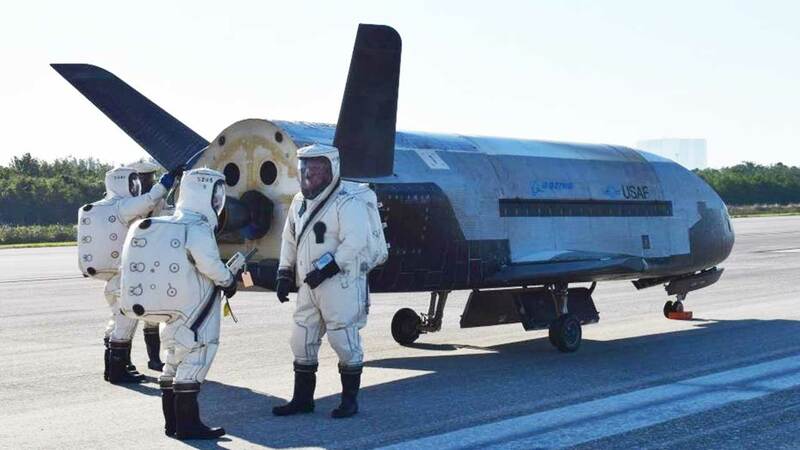 The X-37B, which looks like a small plane, made history by landing for the first time in Florida instead of California. It also set the on-orbit endurance record at 718 days, or almost two years. "Our team has been preparing for this event for several years, and I am extremely proud to see our hard work and dedication culminate in today's safe and successful landing of the X-37B," said Brig. Gen. Wayne Monteith in a press release. So what was this unmanned aircraft doing in space that long? There's been mystery surrounding this question for many years. The Air Force maintains that the reusable plane "performs risk reduction, experimentation and concept of operations development for reusable space vehicle technologies." But many speculate about other possible uses, including spying activities or testing of a secret space weapon. This completed mission extends the program to 2,085 days in space. The Air Force is preparing to launch the fifth X-37B mission from Florida's Cape Canaveral Air Force Station later in 2017.